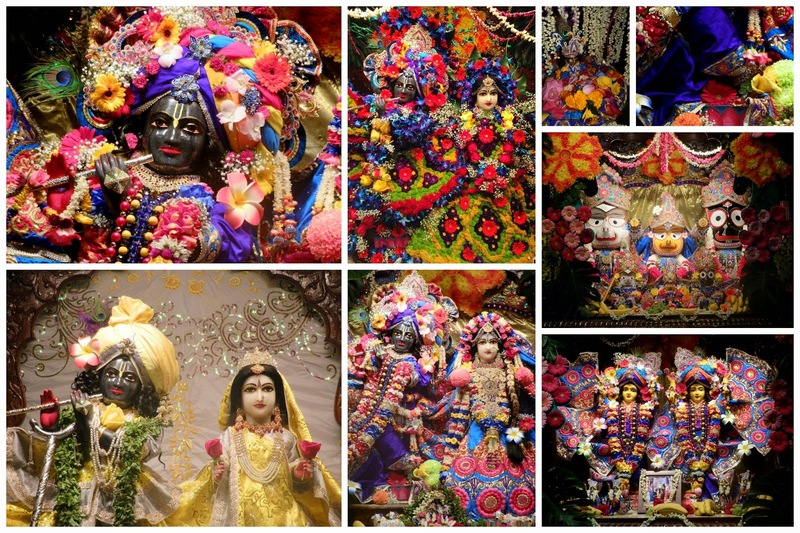 Janmastami Darshan 2014 ~ The Toronto Hare Krishna Temple! August 17th, the Hare Krishna Temple celebrated the biggest birthday party of the year, Lord Krishna's appearance day - Sri Krishna Janmastami!!!! As always one of the highlights of the festivities was the amazing Darshans of Their Lordships Sri Sri Radha Ksira-Chora Gopinatha, Sri Sri Gaura-Nitai and Sri Sri Jagannatha, Baladeva and Subadhra. See below our full album including darshans from Mangal Arati (4:30am) the opulent day outfit as well as the Midnight flower outfit!